Preparation is underway for the 24th Charleston Race Week, the largest keelboat regatta in North America, which kicks off next week. The regatta was established in 1996 by members of Charleston Ocean Racing Association (CORA). 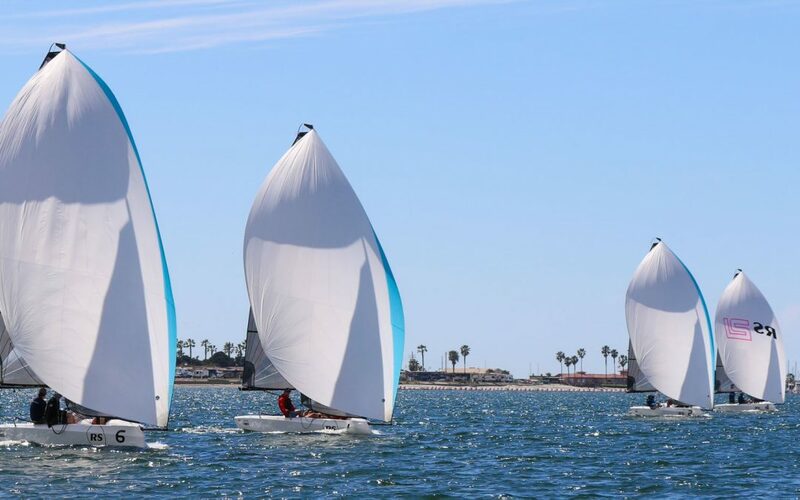 The event consists of 3 days of spectacular racing hosted in both Charleston Harbour and offshore. Charleston Harbour is known for providing a wide variety of conditions across its six race courses. The four race areas inside the harbour will offer just that and the peninsula of Charleston will host the other two race areas. On the start line will be Jack Gierhart, the President of US Sailing, Scott Hardy, the owner of The Boat Locker, Mark McNamara of Lakewood Yacht Club, Dan Shanahan and his crew from Annapolis, Kevin Coughlin from New England Ropes and Bob Adams from Zim Sailing. The eighth boat in the line up is the RS21 Junior Race Team will be making their debut at Charleston Race Week. This team is not lacking talent! Neil Walters who skippered the Red Bull Foiling Generation will be leading from the front. Gavin Parker is the youngest member of the team at just 15 years old, but his wealth of experience has grown since he represented USA in the Youth Americas Cup. Lucas Sawin not only crewed in the Red Bull Foiling Generation events but also qualified for the US Chubb Jr Championships. Finally, Connor Marion is building his experience in the M32 as a junior racer as well as in keelboats such as the J120 doing tactics or trim. Overall, a team to watch! All boats will be set up with the new RaceGeek D10 which will give the sailors real-time feedback as they race. A big thank you to Spinlock for providing the sailors with life jackets for the event. Keep up to date on all news from Charleston Race Week on the event website. Charter boats are now available to book for the Annapolis NOOD, May 3-5th and the Chicago NOOD June 7-9th via the RS Sailing Store website for $2,500.00 per boat.